Thank you for the information. This account has been closed and all users' files were removed. If you know other illegal using of our site, please, do not hesitate and contact us. For contacting 4shared.com about misuse, click here for their contact page, then click on "report abuse." If you happen to possess information on the files that match the description above and that you know are stored on our website, please fill out the form above indicating the link to the file, as well as your name, name of organization and your email address so that we could contact you. All the information on the matter would be essential as well. Your message will be considered as soon as possible. Illegal files shall be removed from the site and put on the blacklist file filter. We apologize for the illegal use of our service by dishonest users and promise we will do our very best"
To report an illegal use, click here and fill out the form. "Pando is free software that lets you send and receive files and folders of any size* with your existing email account." Pando Networks expressly prohibits the use of its network and software for the illegal transmission of copyrighted material. Pando Networks will respond if notified by content owners to disable copyrighted material from being transmitted across its network. Pando Networks may disable individual accounts from its network if these accounts are found to be illegally transferring copyrighted material. A polite letter to ask theives to stop. Well, many pirates/shop-lifters are all up in arms because designers have the gall to come off as "rude" when they are asking for their copyrighted work to not be illegally redistributed. So here is something for designers to use as a polite cease and desist letter. Please be advised that a file shared in your yahoo group was done so without permission and against my TOU. File redistribution is not permitted. (file sharing host ) has been contacted and have deactivated the link upon my request. Please be advised that a file YOU shared in the yahoo group (name of group) was done so without permission and against my TOU. File redistribution is not permitted. ( filesharing site name ) has been contacted and have deactivated the link upon my request. Please refrain from posting any materials that were not created by you. Whether you are the one who made the link available by uploading it to (filesharing site name) or are simply passing on a link you have received from elsewhere, choosing to share the link which is obviously not your own work and without the permission of the original creator is an illegal act on your behalf. The post has been brought to the attention of the list owner. On their homepage, BestSharing.com has a statement that says "Warning! The uploading of copyrighted materials (and adult images) is strictly prohibited! Please, read our Terms of Services for more information." Included on their Terms of Services is "Copyright Policy: The Best Sharing Service may be used only for lawful purposes. By using the Service, you represent and warrant that you are the author and copyright owner and/or proper licensee with respect to any hosted content and you further represent and warrant that no content violates the trademark or rights of any third party. Best Sharing reserves the right to suspend or terminate a user’s transmission(s) that, in Best Sharing’s discretion, violates these policies or violates any law or regulation." Illegal files will be removed immediately after notice. Best Sharing will add them to its file-filter, so they can’t be uploaded again. ."
There is also a form right on their website, if you click on the "Abuse" tab. There is says: "Use this form to report Illegal files on Best Sharing. You may also report violation of Terms of Service. Abusive files will be deleted within hours after notice. 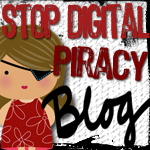 Best Sharing is against software piracy or any kind of copyright infringement. We apologize for any kind of misuse of our service and promise to do our best to find and terminate abusive files.."
Mooload.com is a new file-sharing site. It's actually very cute, with the graphic of the cow . . . that made writing this a little fun. "Any files which you feel should be removed, should be reported to our abuse department. The abuse department requires proof that the file is yours/abusing copyright before removing files . . . Mooload can and will take legal action against people abusing the service in any form, and illegal files will be reported to the appropriate authorities. Mooload moderates files as much as possible." "To contact our abuse team please email abuse@REMOVETHISmooload.com removing "REMOVETHIS"." Some piraters have been using AOL groups to illegially distribute copyrighted works. If your works have been distributed through AOL groups, here is what you need to know. Here is the AOL group homepage. Here is their Groups Guidelines page. "Public Groups found to be in violation of these guidelines are subject to removal without notice. AOL reserves the right to investigate a Public Group when a violation has been reported or is suspected by AOL." infringes anyone else's intellectual property rights, including, but not limited to, any copyright, trademark, rights of publicity, rights of privacy, or other proprietary rights." AOL's Terms and Conditions of Use page, here, states: "If you believe that your work has been copied and is accessible on this site in a way that constitutes copyright infringement, you may notify America Online. Click here for instructions." SendSpace is a site users can use to share large files. sendspace Services may be used only for lawful purposes. Transmission, distribution or storage of any material in violation of any applicable law or regulation, including export control laws, is prohibited. This includes, without limitation, material protected by patent, copyright, trademark, service mark, trade secret or other intellectual property rights. If you use another party's material, you must obtain prior authorization. By using the Services, you represent and warrant that you are the author and copyright owner and/or proper licensee with respect to any hosted content and you further represent and warrant that no content violates the trademark or rights of any third party. sendspace reserves the right to suspend or terminate a User's transmission(s) that, in sendspace's discretion, violates these policies or violates any law or regulation. Q: Are there any restrictions on the content of my files? A: Yes. You must agree to our terms of service before uploading a file. This includes: sendspace may be used only for lawful purposes. Transmission, distribution or storage of any material in violation of any applicable law or regulation, including export control laws, is prohibited. This includes, without limitation, material protected by patent, copyright, trademark, service mark, trade secret or other intellectual property rights. If you use another party's material, you must obtain prior authorization. By using the Services, you represent and warrant that you are the author and copyright owner and/or proper licensee with respect to any hosted content and you further represent and warrant that no content violates the trademark or rights of any third party. "Complaints about violators of our Policy should be sent via our contact form on this site." iHud is another free file hosting site. Copyright or trademark infringement: Use of the PhotoJerk service to transmit any material (by e-mail, uploading, posting or otherwise) that infringes any copyright, trademark, patent, trade secret or other proprietary rights of any third party, including, but not limited to, the unauthorized copying of copyrighted material, the digitization and distribution of photographs from magazines, books, or other copyrighted sources, and the unauthorized transmittal of copyrighted software. PhotoJerk requests that anyone who believes that there is a violation of this AUP direct the information to the Abuse Department at alan@photojerk.com.